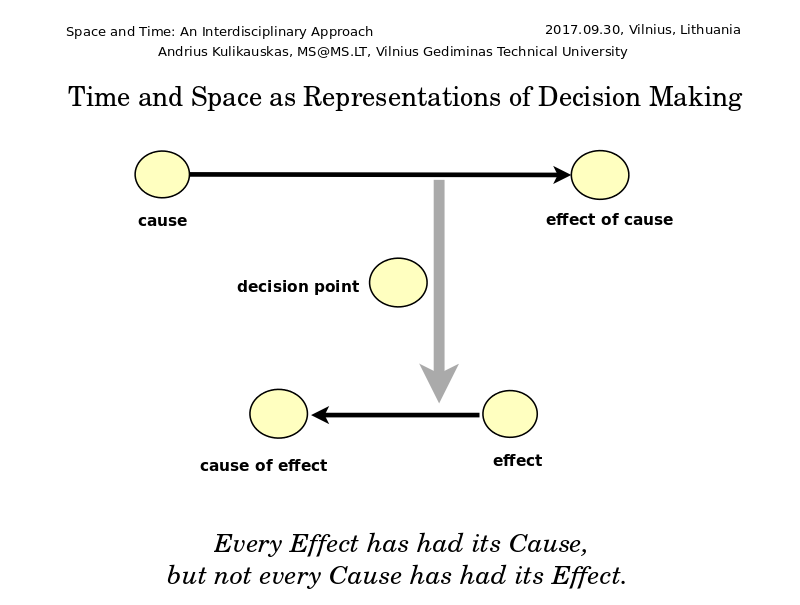 Presented at Space and Time: An Interdisciplinary Approach, September 29-30, 2017 in Vilnius, Lithuania. 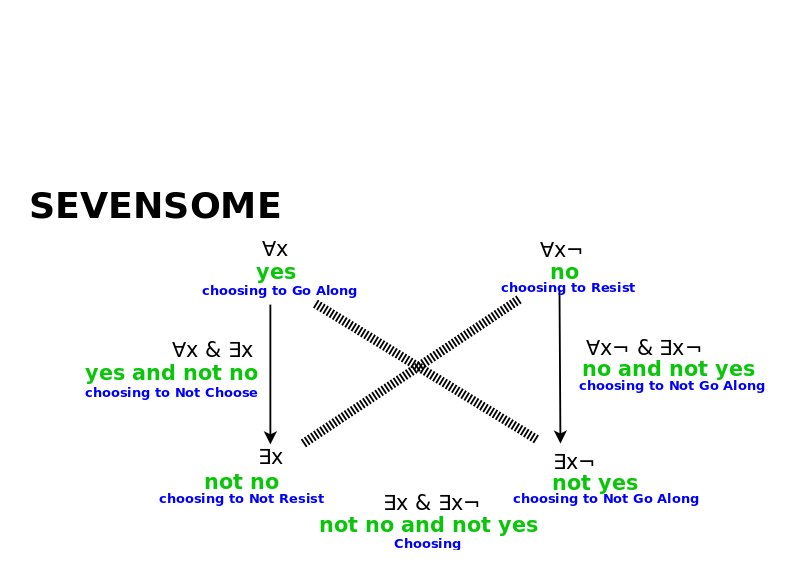 By what conceptual framework do we experience time and space? I investigate this question by pursuing metaphysics as a cognitive science. 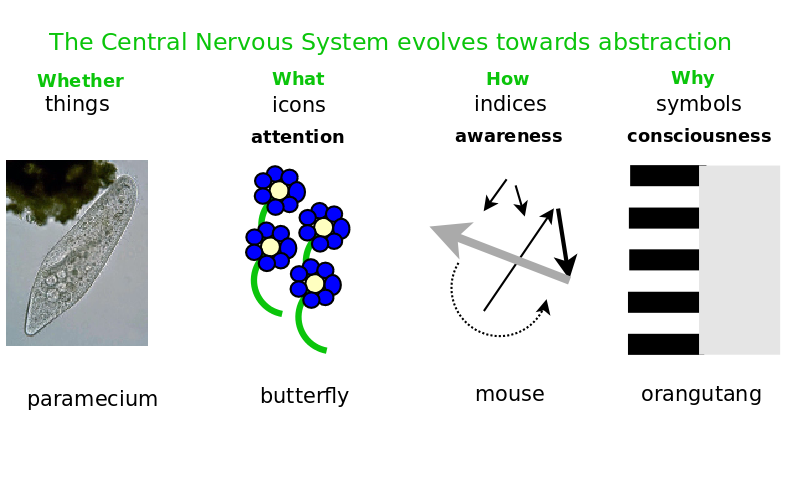 I take our imagination's limitations as the pragmatic ground for absolute truth, document the perspectives available to us on particular issues, and develop testable models of cognitive frameworks for those issues. 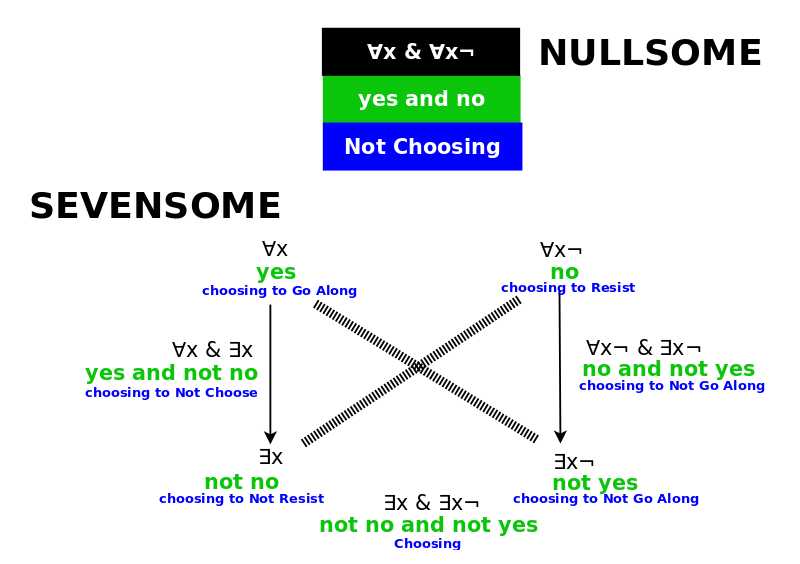 I present a model in which our minds construct time and space as representations of decision-making. 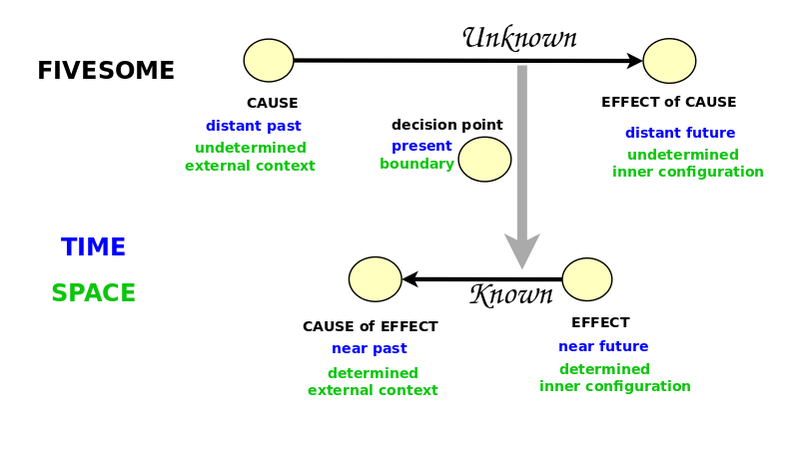 Both time and space suppose five perspectives which define two directions for causality: "Every effect has had its cause" but also "Not every cause has had its effects". Time expresses causality dynamically from past to future. In time, the present is given by an ambiguity between the forwards direction of time, from cause to effect, and the backwards direction of time, from effect to cause. 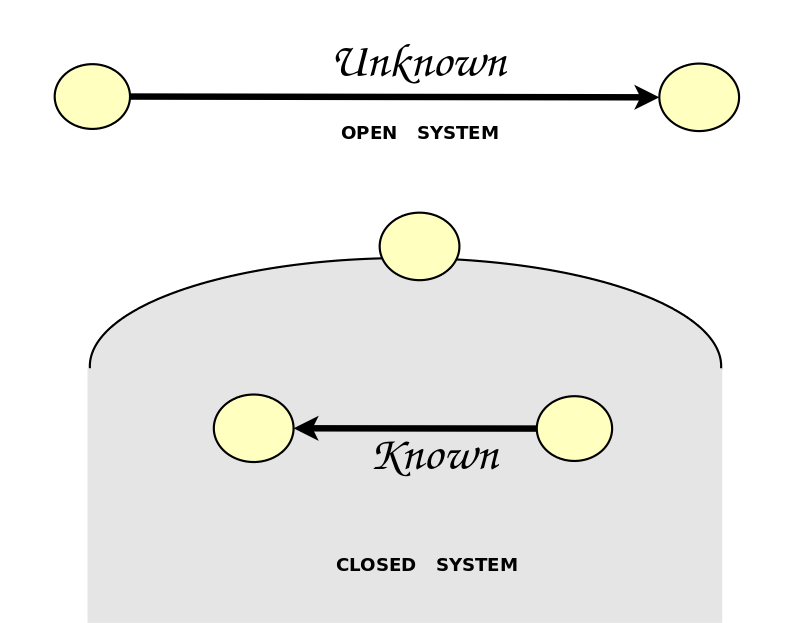 Space expresses causality statically as an outer system determining an inner subsystem. In space, the boundary disambiguates the outer cause and the inner effect. Suppose that we are engaged with issues of knowledge and then reflect on that. Our mind adds one perspective to the foursome to yield the fivesome. 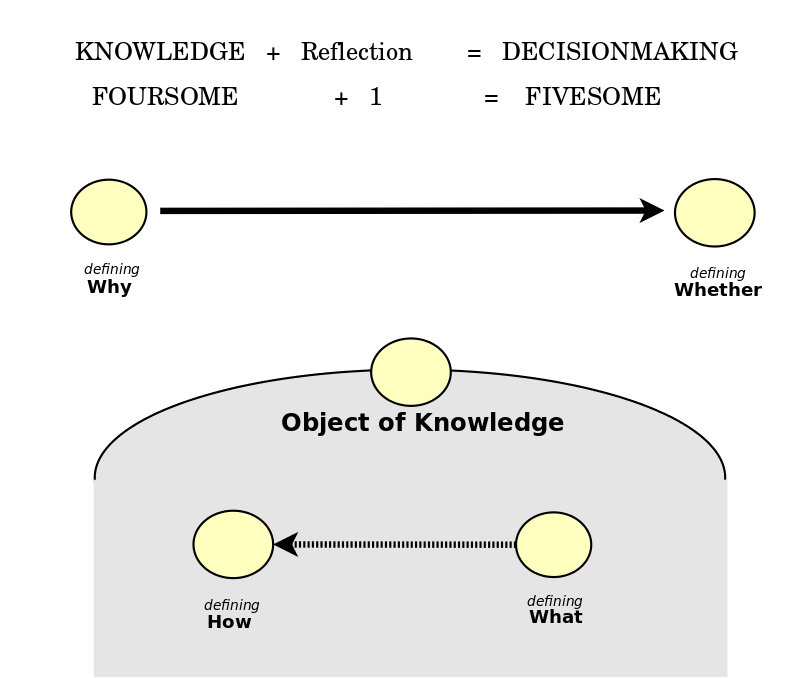 Here we consider our levels of knowledge - Whether, What, How, Why - as all bearing upon an object of knowledge. Thus we dedicate a new perspective to express that commonality which they share. Our experience of this object of knowledge circumscribes our decision point. And it defines the scope of our present in time or our boundary in space as comprising exactly one unit of knowledge. Thus we experience the present as a unit of knowledge. 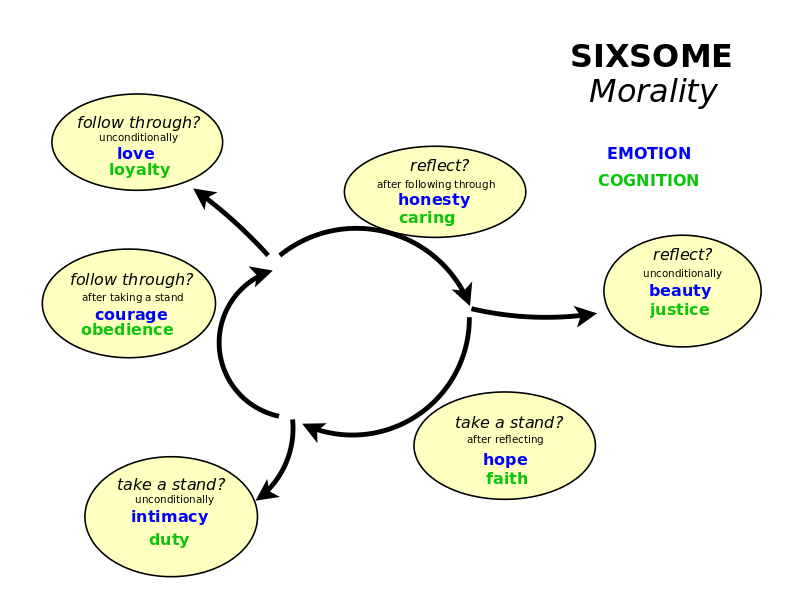 A further step of reflection takes us from decision-making to morality. Here all of the perspectives share an observer, and so we imagine that observer as above the other perspectives but focused on our experience of the decision point. 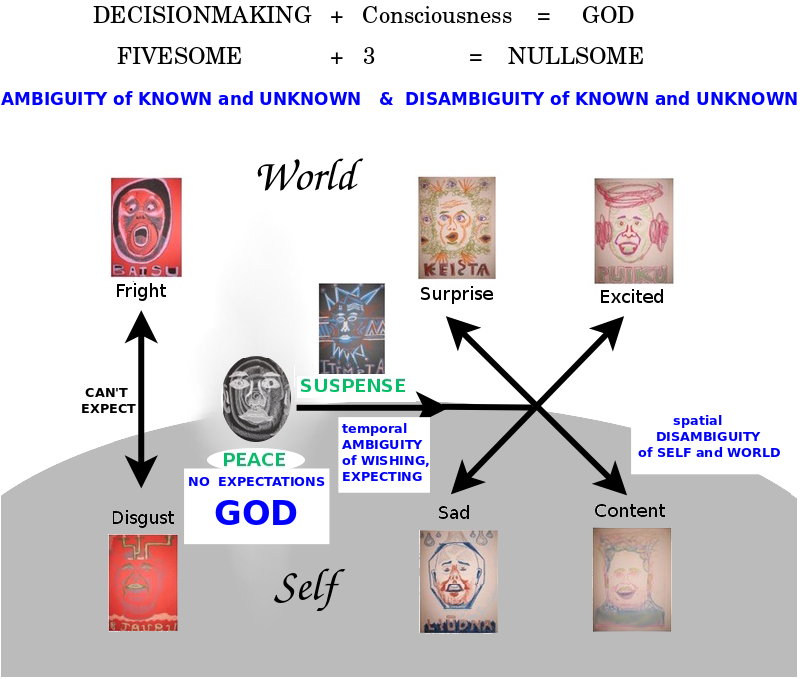 In other words, the sixth perspective is our conscience. 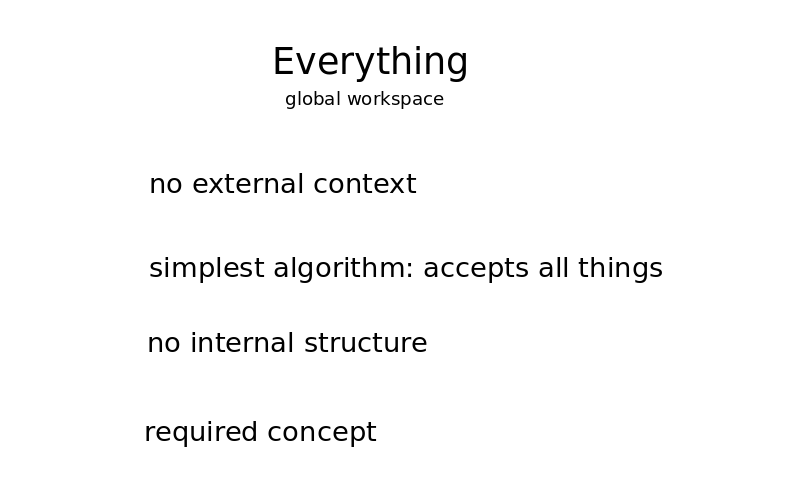 I believe that the three shifts are interlinked cyclically. 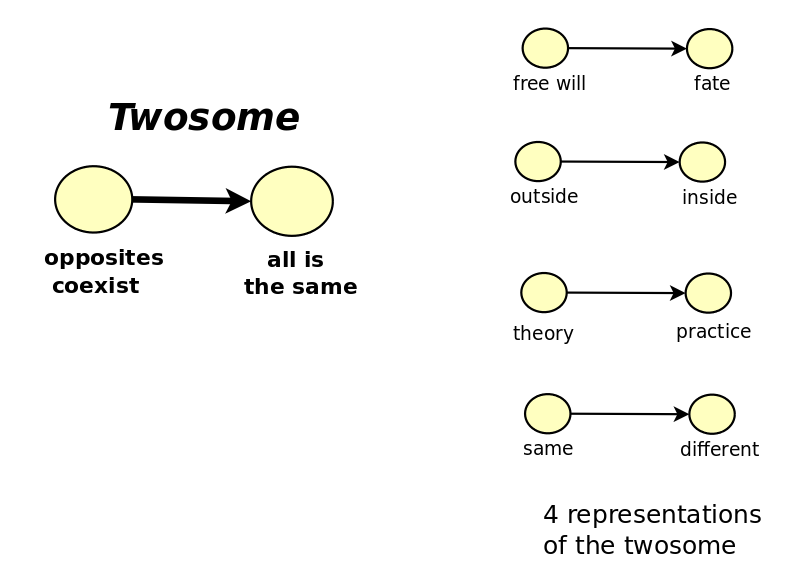 As Kant observed in his Transcendental Deduction, we have a threefold accordance between first, our theoretical self, I, which he called the subjective unity of consciousness, and second, our thoughts, which he called our empirical unity of apperception, and which I claim is circumscribed by our conscience's view upon our deciding, and third, what we practically do, which he called the objective unity of transcendental apperception. 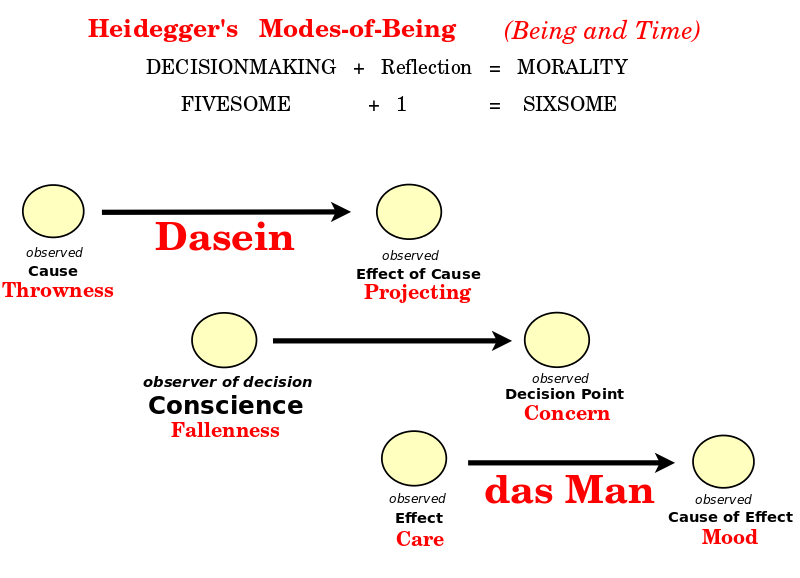 In Being and Time, Heidegger discusses a similar framework in terms of modes-of-being. 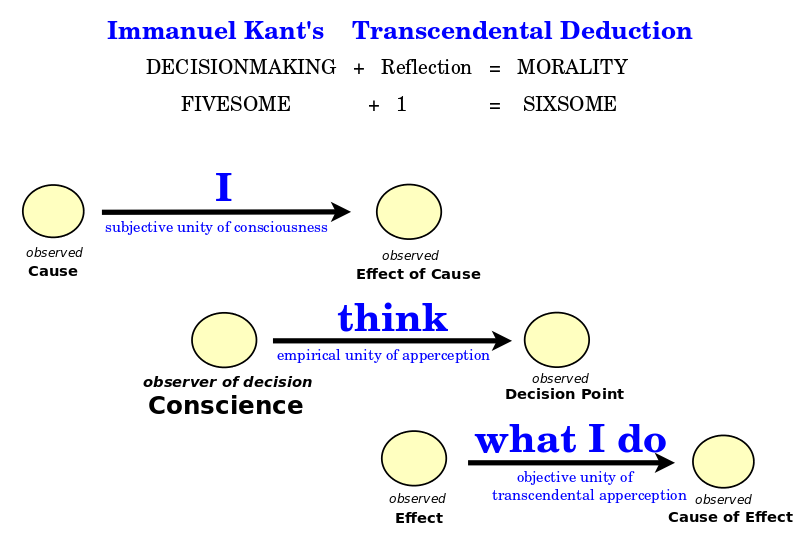 Both Kant and Heidegger can be understood to support my earlier description of decision-making as consciousness of questions of being. 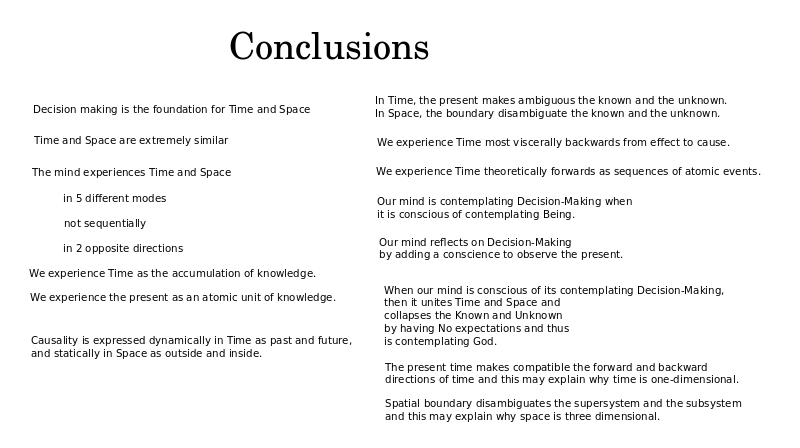 In conclusion, I have presented a system of cognitive frameworks which provide a lot of metaphysical ideas on the nature of time and space. I derived these ideas through thirty-five years of careful introspection, relying also on consideration of ideas from all manner of thinkers, and overall attempting to make sense of all genuine perspectives. However, these ideas can be tested further with tools from experimental psychology, cognitive science, neuroscience and other fields. But they might also be dramatically confirmed if they proved useful in mathematics or physics, explaining, for example, why three dimensions, not more and not less, are especially rich spatially, as we know from the proofs of the Poincare conjecture. 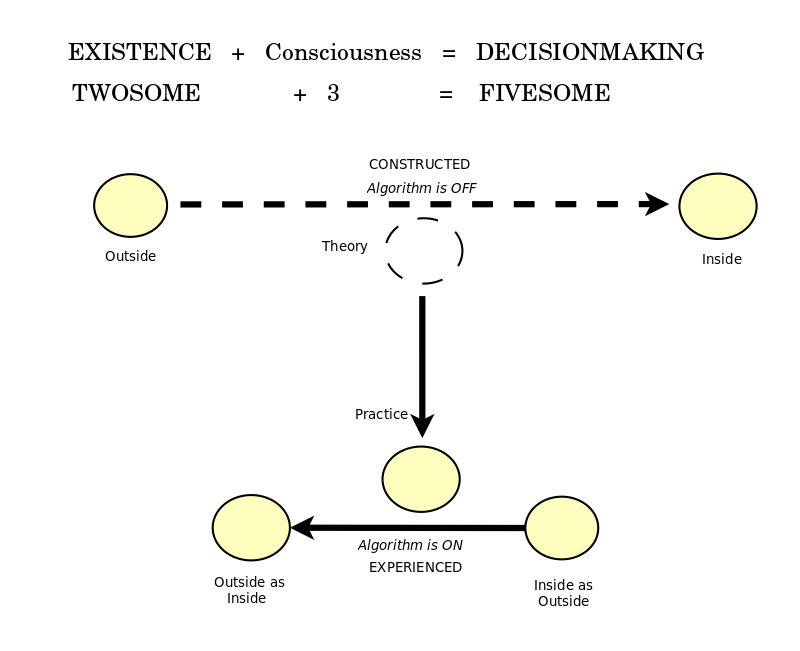 In summary, time and space are very similar and are determined by the five perspectives we need for decision-making. We construct time and space by jumping amongst these five perspectives.